Most of these photos are JPEGs of 50 to 100 KB size. Some of the more impressive digital photos are available as separate downloads. Thus the total file size of this page is just under 1 MB. Fe has a refined version of this page, using all thumbnails and linking to full-sized photos. Fe's page is about 350K. 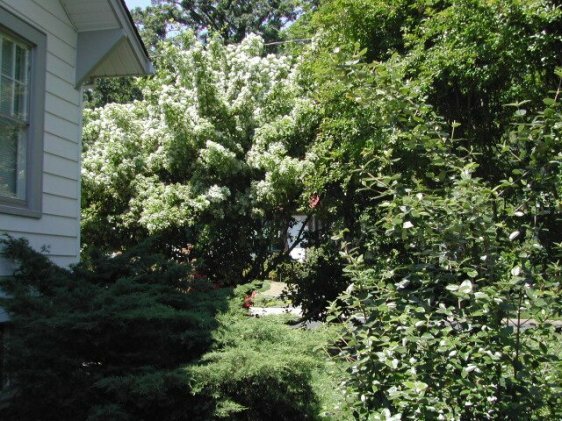 The Oriental fringe tree in the front yard is (we believe) is a spring-time show stopper. 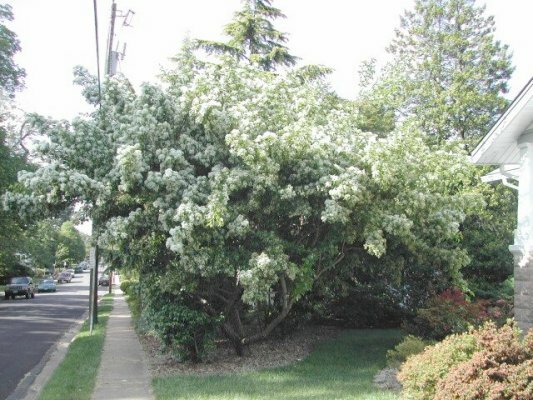 The same fringe tree seen from the side yard. Below, is overall view of the backyard. 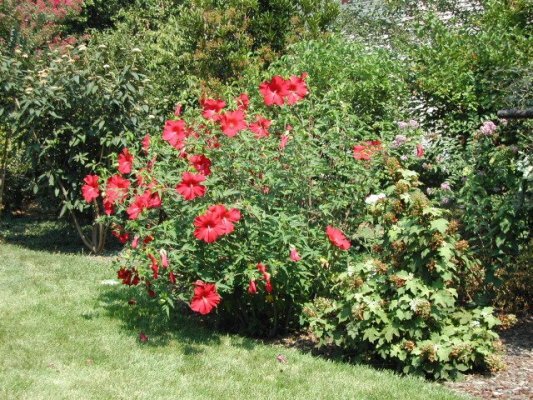 Just to the left - out of view - is the red-blooming mallow, and to the right - also out of view - is the bed with peonies and azaleas. Close up of the mallow in bloom. Close up of the peonies in full bloom. 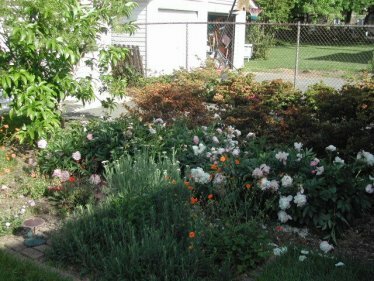 Behind the peonies are the azaleas which have already bloomed. 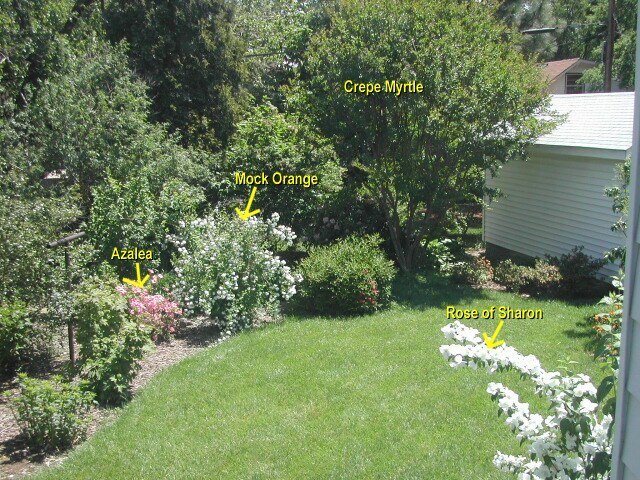 Crepe myrtle, and weigela just to the left. 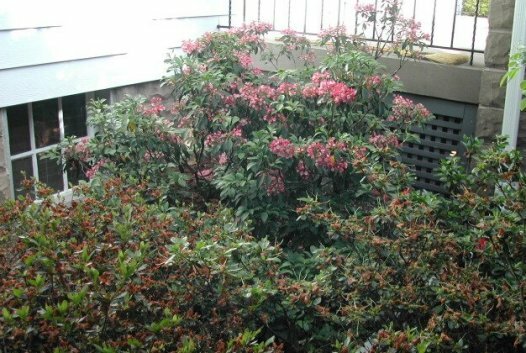 Note the rhododendron under the crepe myrtle. 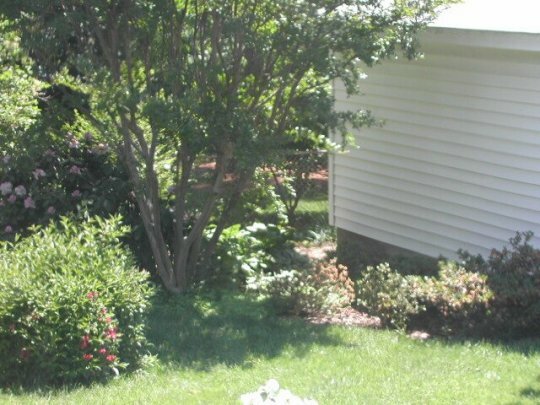 Azaleas are the low bushes closest to the garage. 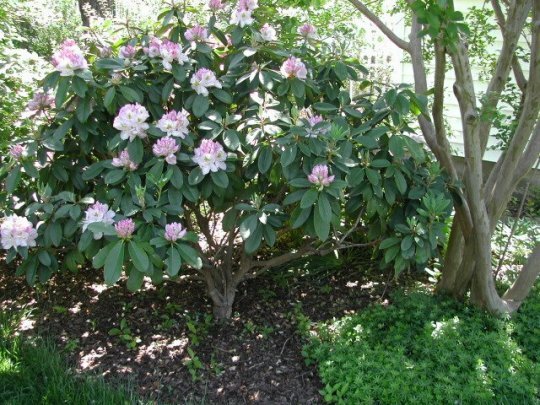 Showing the rhododendron under the crepe myrtle. 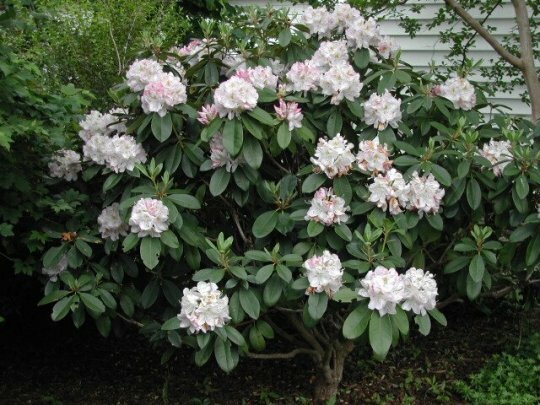 Close up of the rhododendron in full bloom - beautiful! ......... 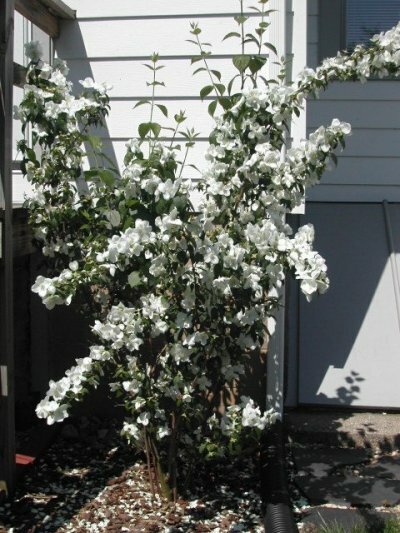 The mock orange is in full bloom. A pink azalea beside it is also in bloom. 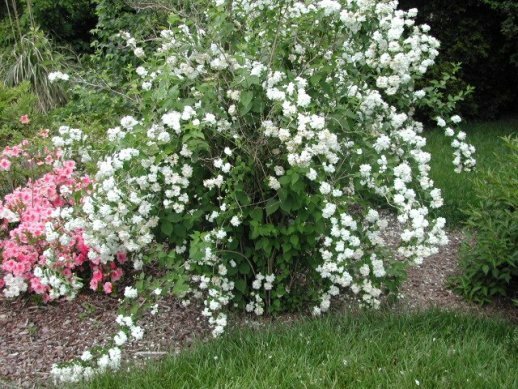 Another view of the mallow, with the oakleaf hydrangea to the right. In the background (to left) is a leatherleaf viburnum. 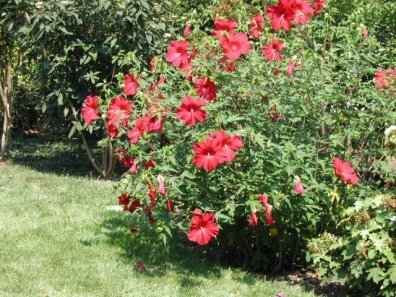 The rose of Sharon at the back of the house. The kalmia in bloom in the front yard bed.